Rick Astley has the Internet to thank for being all smiles. 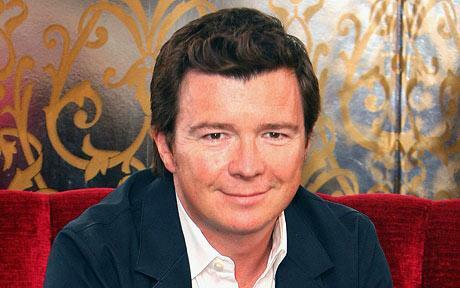 LONDON – ’80s pop sensation Rick Astley left the music business with a modest, but respectable legacy in 1993. 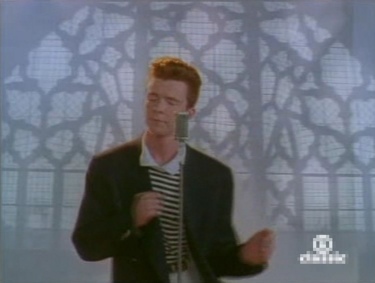 But the website YouTube prompted his return when the “rickroll” phenomenon took the Internet by storm. Astley capitalized on his renewed popularity by performing a live (lip-synched) rickroll at the Macy’s Thanksgiving Day Parade in 2008. Currently, Astley is touring with English comedian Peter Kay to promote his new single, “Lights Out,” which hit stores in the UK yesterday. But despite these plans, the “Don’t Say Goodbye” singer made sure not to depend solely on recording music to earn a living. VH1 offered Astley a celebreality show called "Rickroll'd," but he turned it down by tweeting, "I haz standards. lolz." To hear “Lights Out,” courtesy of BBC Radio 2, click on the steely-eyed, handsome face below. Next: Who’s ready for a George Clooney romcom?